When hunters talk about rimfire scopes, they don’t fail to mention the Leupold Rimfire Scope series. Well, we can’t blame them as the Leupold’s Rimfire is an excellent scope with high user rating. This is a tribute to Leupold’s high-quality products and great performance in the field. In this essence, we will give you the 7 best Leupold Rimfire scopes based on user rating and number of user reviews. We will also provide you a comparative table summary of all the models for quick reference. Let’s get started then. We shall start from number seven and then we’ll go through the ranking up to number 1. CLICK HERE to go to Amazon for our #1 Leupold Rimfire Scope, the Leupold-113871-VX-1, check out the latest price and any available DISCOUNT! At 7th place in our ranking, with 4.6 stars out of 5 from thirteen (13) users, is the Leupold 110827 VX-2 Rimfire Riflescope. Weighing at 11.5 ounces and looking great in a matte finish, this VX-2 scope is one of the lightweight models from Leupold. 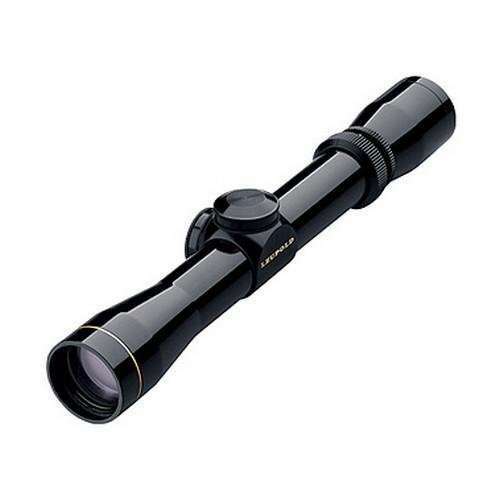 It has a total length of 11.6 inches with actual magnification range of 3.3 to 8.5. The 1-inch body is made of a rugged aircraft grade aluminum alloy so it’s really durable and strong. The objective diameter is 1.8 inches and the eyepiece diameter is 1.4 inches. Eye relief is pretty decent at 3.4 inches in low magnification and 3.1 inches at high. It features an adjustable scope that allows you to focus from 10 meters up to infinity which is what Leupold’s termed as EFR or Extended Focus Range. This is great in eliminating parallax errors. It also makes achieving clear sight on a target at 20 yards just as easy as sighting a target at 50 yards. The windage and elevation turrets are finger adjustable so a lot easier than the old coin slot type. Both adjustments range is up to 64 MOA. The adjustment knobs with small golf ring indicators all turn very smoothly and crisply. The VX-2 is an excellent scope for 22lr and air rifle applications. It uses a sensible Fine Reticle with decent subtensions which makes it easy to focus on your target. It holds zero really well. With its solid yet lightweight construction, excellent finish, great features and crystal clear optics users really enjoy shooting using the Leupold 110827 VX-2 Rimfire scope. 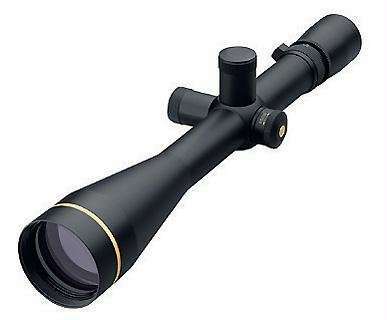 C oming in at 6th place is the Leupold VX-3 2.5-8×36 Rimfire Riflescope with a rating of 4.8 stars from five (5) users. This is yet another strong, durable and lightweight Rimfire scope from Leupold. It has an actual magnification range of 2.6 to 7.8. Although the photo here shows a silver finish, this scope is also available in matte and glossy black. This VX-3 with a duplex reticle is a compact scope in its 11.4 inches of total length. It weighs at only 11.4 ounces. The objective diameter is 1.7 inches and the eyepiece diameter is 1.6 inches. Compare to the others in our list, this model is one of those with really long eye relief – 4.5 (low) to 3.6 (high) inches so really great for those who wear glasses. It has very easy adjustments that are repeatable so it conserves ammunition when making adjustments or sighting in. Would be fair to say that any aberrations are operator error and not the scope. With its beautiful finish, exceptional clarity, crisp optics with great light gathering and high-quality craftsmanship at a very reasonable price it’s no wonder the VX-3 2.5-8×36 rimfire scope is a winner for hunters. With thirty-two (32) users rating it at 4.8 stars, the Leupold 113872 VX-1 with Fine Duplex Reticle is 5th in our ranking. 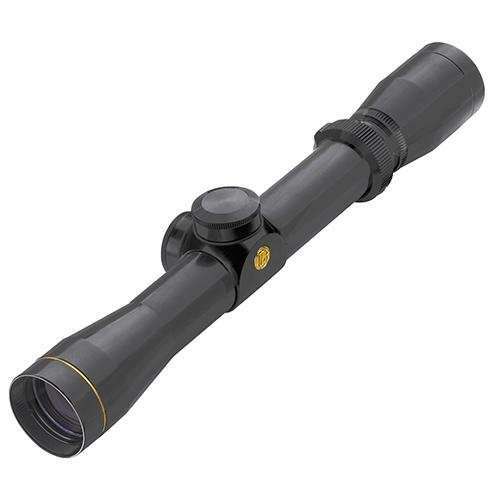 Coming in at a really compact length of 10.1 inches, the 113872 VX-1 2-7×28 has an actual magnification range of 2.4 to 6.7. The objective lens diameter and eyepiece, which nests the 1” tube body, are both 1.4 inches in measurement. With a weight of only 8.5 ounces, it has the second lightest weight in our ranking list so won’t really add much onto your rifle. It has a pretty good eye relief of 3.5 to 3.1 inches. The fine duplex reticle is really nice fine and doesn’t obscure the target. The micro-friction elevation and windage dials are both adjustable and range of adjustment is up to 85 moa. The dials are marked in ¼ moa increments. The matte-finished body is waterproofed using their proprietary 2nd generation Argon/Krypton waterproofing technique. 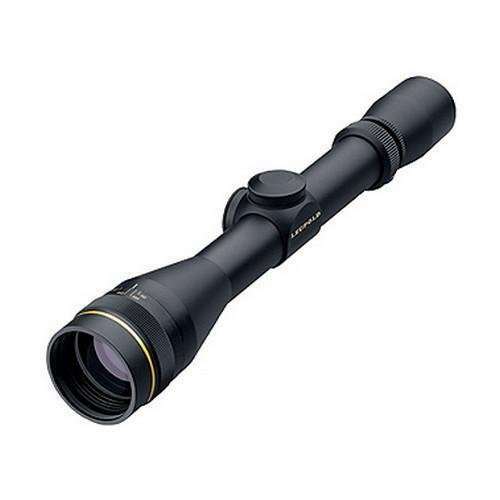 This is a great sized scope for 22LR’s and with a very clear optics that do an admirable job with light transmission even at dusk and in low light conditions. Build quality is excellent as well. This will fit perfectly on your 10/22 takedown. Small, light, clear and powerful precision summarizes the quality of this Rimfire scope. Fourth place goes to the Leupold VX-3 3.5-10×40 Duplex with 4.9 stars from ten (10) users. This VX-3 model with Duplex reticle is absolutely a high-end, quality piece and an amazing scope with great clarity at low light levels. It features Leupold’s Xtended Twilight Lens System which gives you that outstanding details of low-light scenes in greater definition and luminance that you cannot find in any other scope. On top of that, the exterior lens surfaces are treated with their trademark DiamondCoat2 lens coating for higher light transmission and supreme level of abrasion resistance. To minimize unwanted glare and diffusion, the lens of the VX-3 have blackened lens edges to provide better resolution, improved contrast and superior optical performance. And to make things even better, the scope is waterproofed and fog-proofed using Leupold’s proprietary Argon/Krypton gas technology. Target acquisition is also a no problem as the VX-3 has a generous eyebox which makes it faster and easier to get your eye behind the riflescope and achieve a full, clear sight picture. 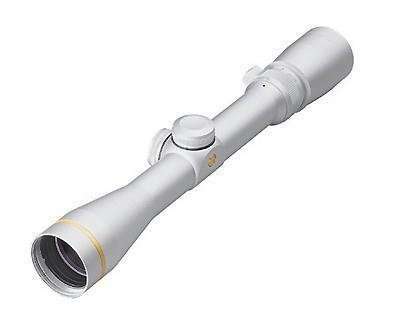 It also has a long eye relief even at high magnification which helps you to quickly acquire targets. With its great features, precision adjustments, amazing clarity, outstanding functionality and exceptional performance in the field, it is no wonder the Leupold VX-3 3.5-10×40 Duplex Rimfire scope is highly regarded by users. The third ranked scope in our list is the Leupold FX-I Rimfire 4×28 with Fine Duplex reticle having twelve (12) users giving it 4.9 stars. This FX-1 58670 model rimfire scope is the “shortest and lightest” in all of the scopes in our list with only a total length of 9.2 inches and a weight of 7.5 ounces. The glossy body has a tube diameter of 1 inch and the objective & eyepiece are both 1.4 inches in diameter. The actual magnification of this scope is 3.6 and the FOV is 25.5 feet/100 yards. Eye relief is pretty long at 4.5 inches. The FX-1 is really light and compact and is great for .22 rifles. However, it is better to mount with medium height rings as the low rings might probably cause problems with picatinny rails as the eye objective will not clear it. 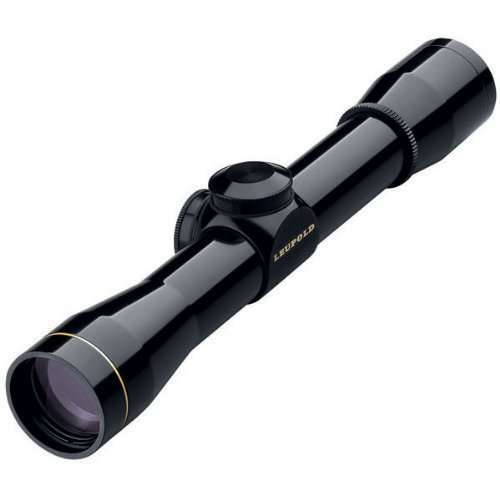 It has bright and clear optics which is a trademark of Leupold’s craftsmanship quality. It is small, lightweight but powerful enough to draw in tight to your target. In number two (2) is the Leupold VX-3 6.5-20×50 Side Focus Target w/ Fine Duplex reticle with 5 stars out of seven (7) users. At 14.4 inches total length, this VX-3 model is the longest scope in our list. Expectedly, because it has more material lengthwise and a bigger tube diameter (1.18 inches), it is the heaviest with a weight of 20.4 ounces. As with all VX-3’s, this scope features Xtended Twilight Lens System, DiamondCoat2, 2nd generation Argon/Krypton waterproofing, generous eyebox, blackened lens edges, durable lens cover and an aircraft-quality material. It has easy parallax adjustment for various distances with its dead on parallax markings on the side turrets and absolutely accurate 1/4 moa adjustments. It is bright, with no black rings around the eyepiece. The glass is awesome and super clear and crisp at all magnification settings. With stunningly clear optics and the great features “normal” to VX-3’s, this scope is really a hit with shooters. And the number one (1), with 5 stars from thirteen (13) users, is the Leupold 113871 VX-1 Rimfire scope. This is basically the same as our 5th ranked model (113872) but in a gloss finished surface, that’s the only difference. As far as features and other details are concerned, we don’t think we need to add more into it as it is essentially the same as model 113872. Just please refer to the description from our fifth ranked scope. Needless to say that the optics of this scope is really clear, it has amazing quality and the hardware is first-rate. It looks magnificent on a Ruger American Rifle .22 WMR. The fit and finish are absolutely perfect. It is rock solid and well built, certainly well worth the money. Here’s a tabulated summary of the 7 Best Leupold Rimfire Scopes. Clicking the up or down arrows on each column will sort the table by values. Leupold rimfire scopes are built with high-quality optics that is specially coated with Leupold’s trademark technologies resulting to really clear and bright lenses. 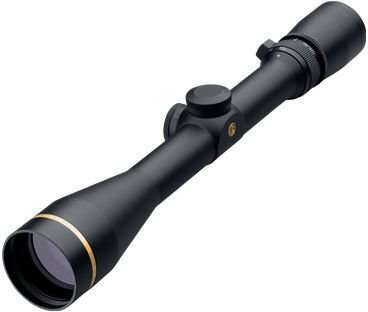 Leupold scopes are also strong and durable as they are made of a rugged 6061-T6 aircraft-grade aluminum alloy. Their craftsmanship is also amazing and product warranty is also great. Various user experiences attest to the high quality and reputation of this brand. The popularity of Leupold Rimfire scopes for hunters is really amazing so it’s not surprising to find them being used in the field. In this article we’ve taken out the guesswork for you and provided you the seven (7) highly rated rimfire scopes from Leupold that you can take a look at and evaluate if it would suit your preference and application. Hope you’ll find this article helpful and we’ll see you on the next one.